St. Pius X School’s mission and philosophy statements are deeply rooted in Catholic values. 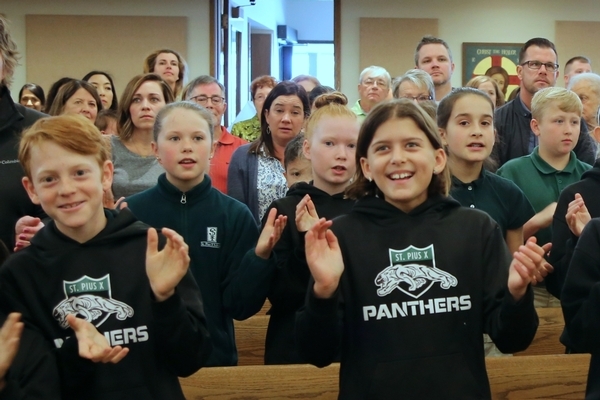 Based on the parish’s mission statement, the school community calls everyone “to be eyes and hands and heart of the Risen Jesus.” As a faith-centered community, St. Pius X School recognizes that faith formation is a joint responsibility among shareholders including parishioners, staff, parents, teachers, and students. The Church also teaches the importance of serving others. As “stewards of our global community,” St. Pius X School values service work and invites the community to join together in reaching out to the local and global community. Through a solid faith foundation and understanding of how as Catholic Christians we relate to Christ through the Church and most deeply through the Eucharist, we are given the tools to function effectively as responsible members of society as a whole. Prayer is at the center of our daily life at St. Pius X School. Daily worship includes school wide morning prayer led by students over the P.A. system, grace before lunch, and closing prayer in individual classrooms before dismissal. The entire student body recites the following pledge in unison each morning after the prayer:"I believe that Jesus is present in me, in each of my classmates, and in all people and therefore, all my actions will show my love for Jesus." Students are very involved in the preparation and celebration of liturgical observances throughout the year. 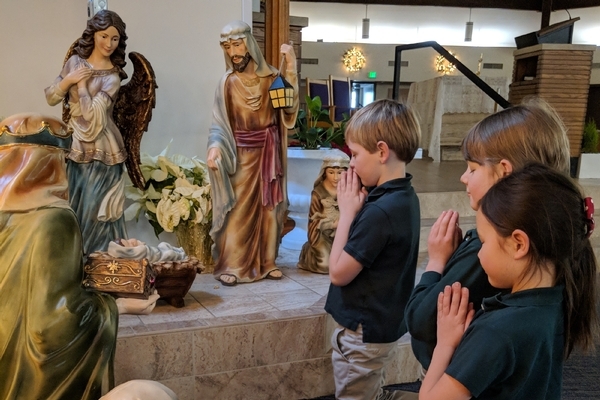 On a rotating basis, the kindergarten through eighth grades classes are responsible for presenting various parts of the weekly Mass celebrated around a central theme. 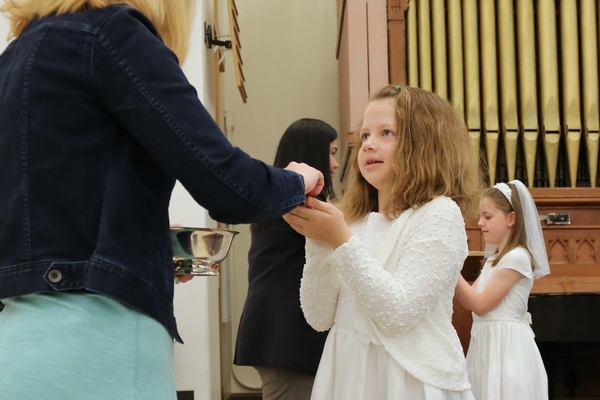 Emphasis is placed on the centrality of the Eucharist, and priority is given to the understanding and acceptance of Christ’s real presence in our lives through this sacred ritual. Music for the Mass is led by student cantors. St. Pius X School students participate in various service projects throughout the school year. The St. Vincent de Paul food drive, Christmas giving programs, and the annual Penny Power competition are all-school projects. Individual classes frequently head up various smaller projects, and all middle school students complete a minimum of three hours per trimester of Christian service.